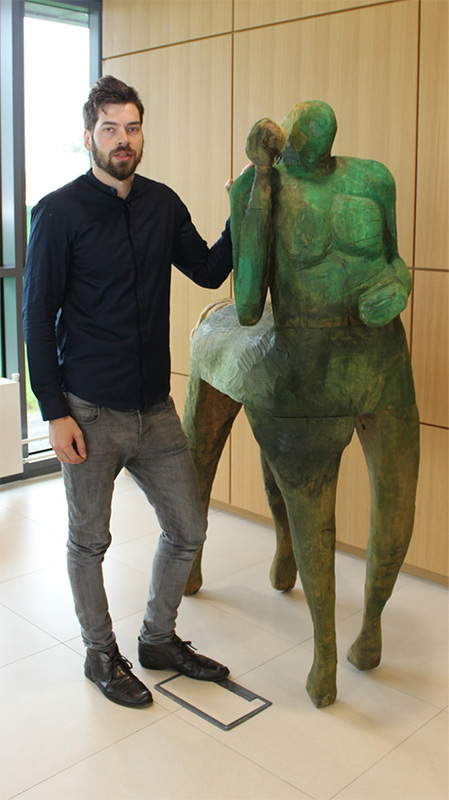 The Green Centaur was officially loaned to Dublin Institute of Technology today from the Office of Public Works as part of ‘…the lives we live’, Grangegorman’s public art programme. 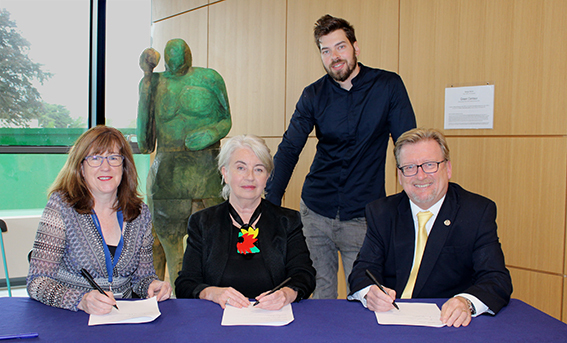 The artist, George Warren, attended the signing along with president of DIT, Prof. Brian Norton, the OPW Art Officer, Ms. Jacquie Moore and GDA’s Corporate Affairs Manager, Ms. Nora Rahill. Mr. Warren said he decided to make the trip up from Wexford today for the signing as he is a graduate of DIT and was very happy that one of his pieces was going on display here. For anyone interested in viewing this beautiful sculpture, it can be seen in the foyer of the Greenway Hub.